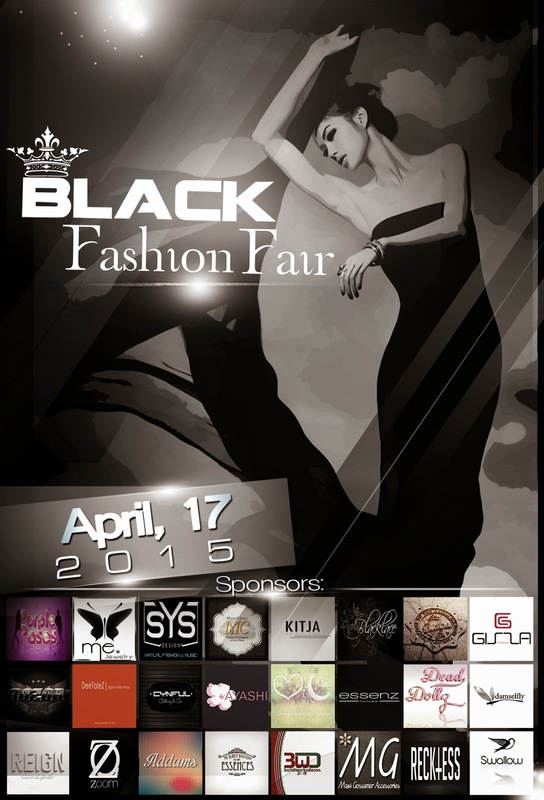 WeDo SL Events: Black Fashion Fair 2015 - Introducing our sponsors!!! Black Fashion Fair 2015 - Introducing our sponsors!!! Here are the designers chosen to be the sponsors of this event! Get ready for lots of wonderful new releases !! This event will be amazing and will be big! Remember that these are just our sponsors. Besides them, we will have many other great designers participating in our event! Will be two full SIM with amazing items made especially for you guys! The application are still open! So if you want to attend this event do not miss this opportunity! Run and fill out the application here! Be ready for the Black Fashion Fair 2015!